An affordable smoke to get an introduction to the Partagas brand. Official size is called Eminentes and is slightly shorter than a Corona (used to exist in aluminum tubes). Blend is the same as the Coronas Junior, slightly pepper and earth. Can do with being aged for a couple of years. Official size is called Eminentes and is slightly shorter than a Corona (used to exist in aluminum tubes). Blend is the same as the Coronas Junior, slightly pepper and earth. Can do with being aged for a couple of years. 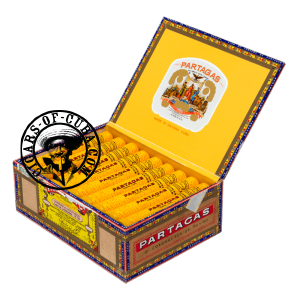 An affordable smoke to get an introduction to the Partagas brand.